Just five days after the legalization of marijuana in Canada, Dr. Katherine Kramer will host an interactive webinar on what it means for pets. 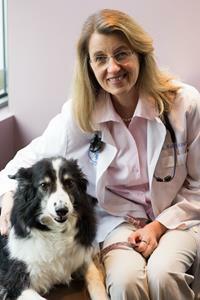 VERNON, British Columbia, Oct. 17, 2018 (GLOBE NEWSWIRE) -- Members of the media who would like to learn more about cannabis for pets are invited to join Veterinarian Dr. Katherine Kramer on Monday, October 22 for a 45-minute Cannabis-for-Pets 101 educational webinar and ask-me-anything session. Dr. Kramer is a vocal advocate for the research and therapeutic use of cannabis for animals. She is the Founding Chair of True Leaf Medicine International Ltd.’s (CSE:MJ) (OTCQB:TRLFF) (FSE:TLA) Veterinary Advisory Board, where she leads education and the research and development of therapeutic cannabis products for pets, and the Medical Director at the VCA-Canada Vancouver Animal Wellness Hospital. What is cannabis and how does it affect pets? A breakdown of the many elements of the marijuana plant, including CBD and THC, and how the plant can be used medicinally for animals. The challenges of legalization: With the growing popularity of medical cannabis for people suffering from pain, more pet owners today are naively administering unsafe cannabis products to their pets. What is marijuana toxicosis? What can pet owners do to keep their pets safe? The opportunities: Canadian veterinarians have an opportunity to lead the way in cannabis-for-pets research. But what can pet owners do today if they want to treat their pet with hemp and cannabis? How can cannabis therapies be administered safely and effectively? A photo accompanying this announcement is available at https://www.globenewswire.com/NewsRoom/AttachmentNg/86761b65-4935-40dc-b4fd-d08ce990497c.